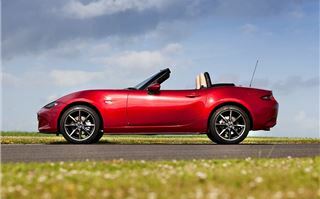 Since the original Mazda MX-5 went on sale in 1990 it’s become part of the British scenery. 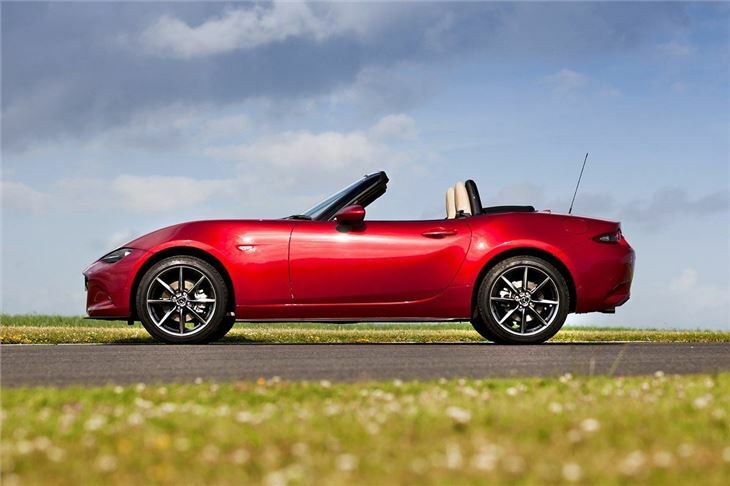 Owners fell in love with the simple, back-to-basics fun provided by the original and, through two further generations, Mazda managed to keep the formula the same – something it has successfully achieved again with this all-new model. That might come as a surprise at first glance. 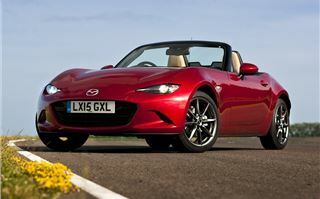 The new MX-5 looks radically different, with sharper, more aggressive lines and narrow, almost angry-looking headlights. It’s also wider and slightly shorter, as well as being impressively lighter - by more than 100kg. 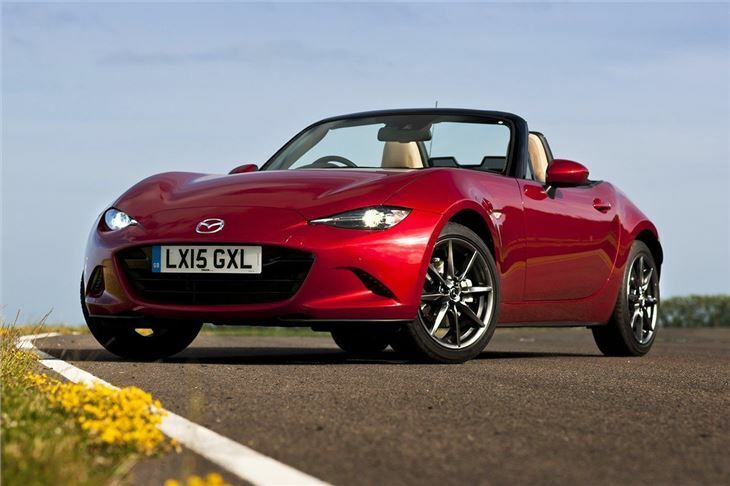 But it doesn’t take long to spot the MX-5 DNA is still present, particularly from behind the wheel. The low-slung driving position will make anyone who has driven an earlier model feel right at home, as will the placement of the pedals, gear lever and handbrake. 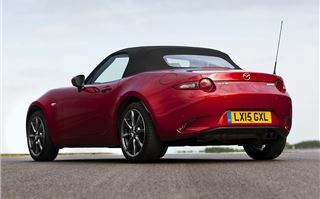 The rest of the MX-5 cabin has been brought up-to-date, with a touchscreen display and neat, body-coloured details on the door tops that appear to flow into the lines of the bonnet. 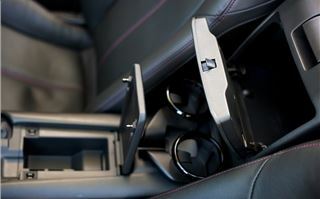 The plastics used in the cabin feel solid enough, but there are no plush, soft-touch materials. 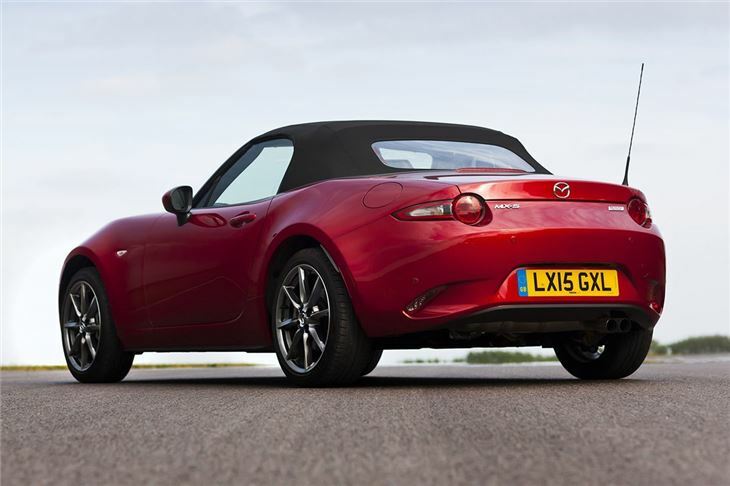 It doesn’t matter much though – they add a sense of pared-back lightness that suits the character of the car. The same can be said of the simple, manual roof mechanism - there are no electric motors here. You do have to stop to operate it, but it takes a couple of seconds and requires next to no effort. 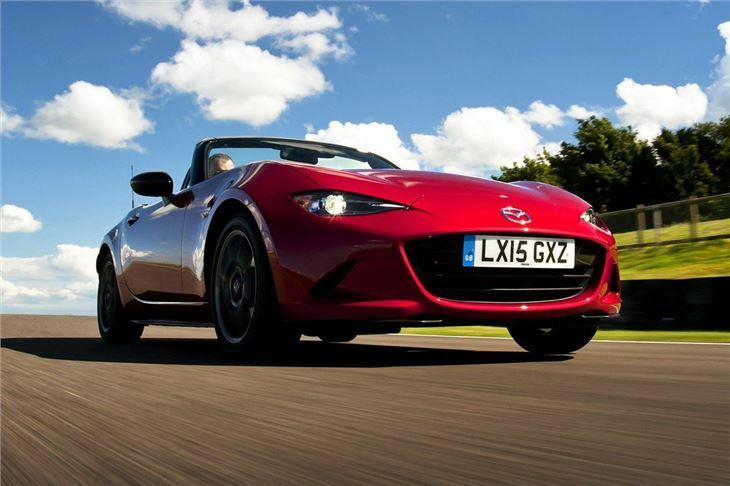 With the roof down the MX-5 fires into life with a cheeky, raspy exhaust note. There are two naturally-aspirated engines available, neither of which is particularly efficienct or clean. The 131PS 1.5-litre emits 139g/km and is officially capable of 47.1mpg, while the 160PS 2.0-litre produces 161g/km and manages 40.9mpg. 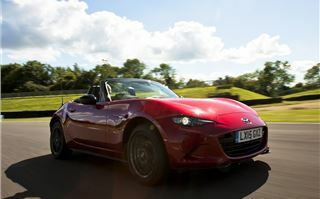 Arguably the cheaper to run 1.5-litre engine, driven here, suits the MX-5 best of all, despite its modest power output. 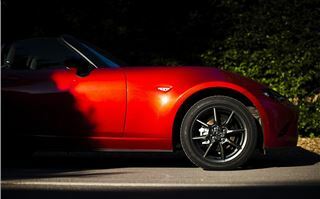 Acceleration from 0-62mph takes 8.3 seconds and top speed is 127mph, which is less than stellar on paper – but the MX-5 is about sensation, not exhilaration. 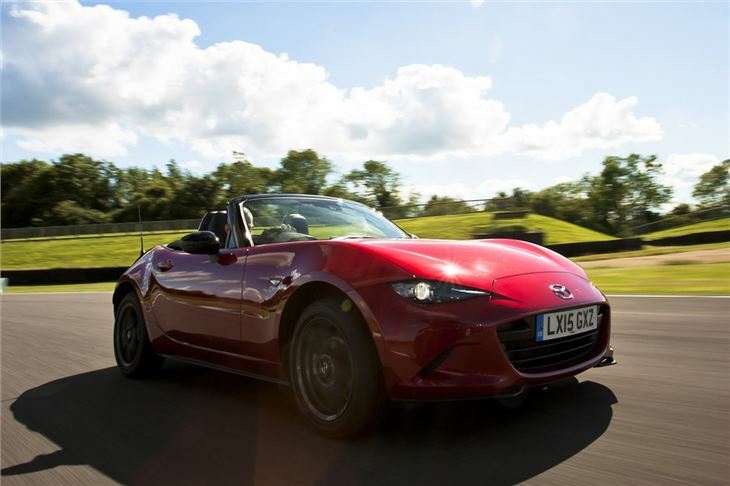 The steering is quick, direct and beautifully weighted, the gear change is wonderfully positive and the suspension communicates exactly what each corner of the car is doing straight to driver’s seat. 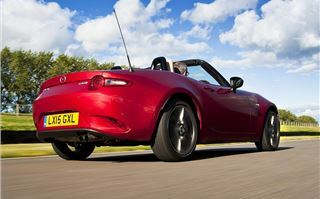 Even at a mundane, plodding pace, driving the MX-5 is enjoyable. 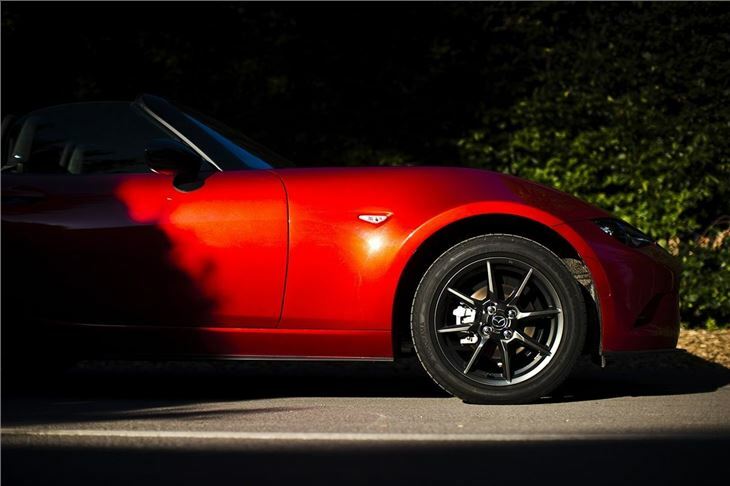 Upping the speed and pushing the engine hard makes things even more fun, of course – but you never need to go hell-for-leather to make the most of the MX-5. That’s good news on churned up, potholed British roads, which the car copes with very well indeed. The ride is firm, but it doesn’t ever get the point of being uncomfortable, even on a particularly bad surface. That’s also a blessing when cruising along the motorway or taking a trip to the shops. 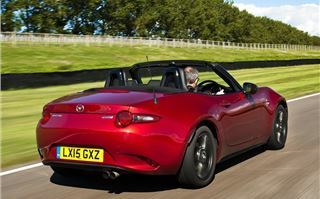 In fact the new MX-5 is quite easy to get along with in everyday driving. The gearing makes for fairly quiet motorway cruising and bluster isn’t too bad with the roof up. Having said that, the MX-5 is nowhere near as quiet as the slightly more expensive, albeit fairly dull in comparison, Volkswagen Golf Cabriolet. It’s also far less practical than the hot hatches it competes with on price. 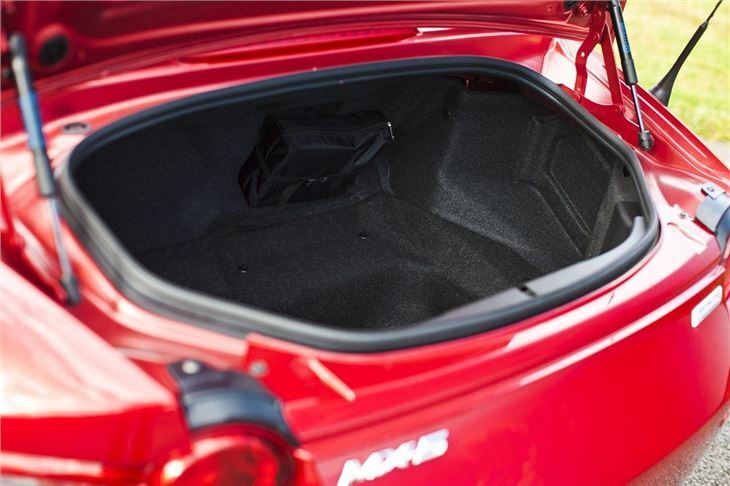 The boot is awkwardly shaped and small, with just 130 litres of space. Thankfully this is the same whether the roof is up or down and it’s enough for a weekly shop. In the cabin there are some shallow storage areas for odds and ends, along with a small compartment just behind the seats. 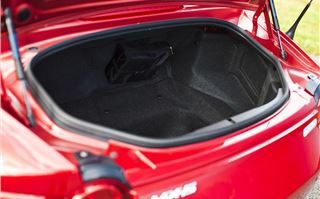 But there is no glovebox, nor are there any door bins. On the plus side there is reasonable level of equipment. 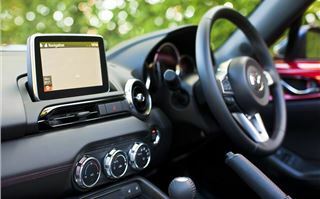 All cars get air conditioning, alloy wheels and LED headlights, while SE and higher trims add an easy-to-use touchscreen system with Bluetooth, plus steering wheel mounted audio controls and climate control in place of manual air conditioning. 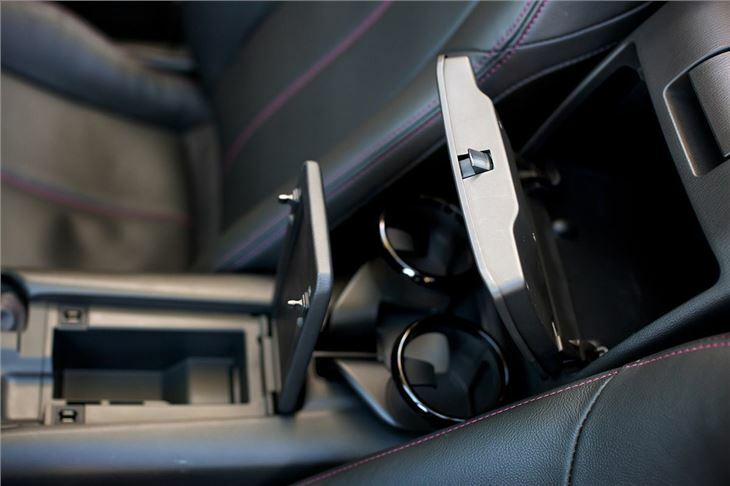 You can also specify navigation and leather upholstery. Obviously choosing some of these extras ramps up the price of the car. 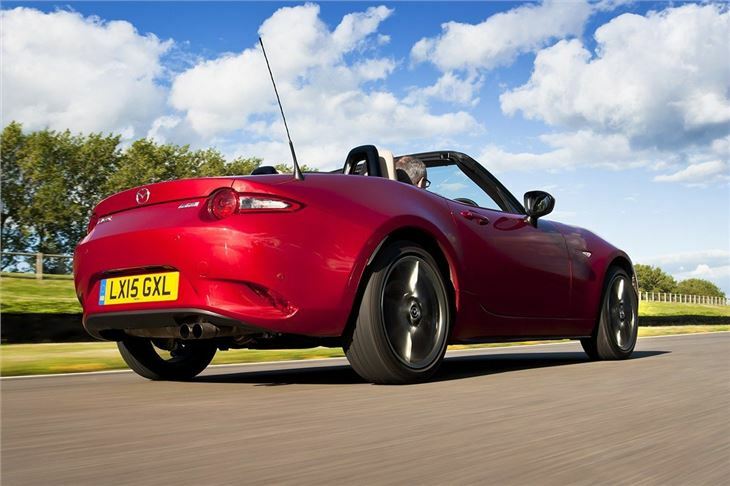 In top spec, with a few optional extras, the MX-5 costs just shy of £25,000, which will buy you a more nicely finished and more practical convertible. 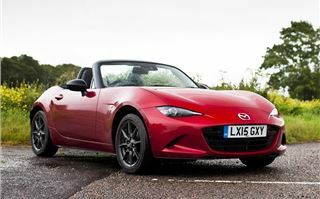 Even in basic, £18,495 SE trim, the MX-5 is up against some much more powerful competition in the form of hot hatchbacks like the Ford Fiesta ST. But that somewhat misses the point. The MX-5 is a much purer vehicle, with driving enjoyment prioritised above all else. For a buyer who savours the sensation of driving along a scenic B-road with the roof down, there really isn’t anything else to match the MX-5, despite some practical limitations. It’s been that way since 1990 – and it’s still that way in 2015. 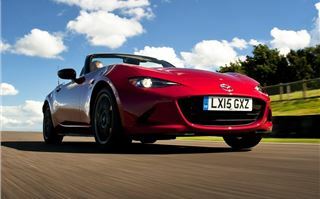 The Mazda MX-5 is on sale in the UK from late August 2015.